Want to gift something special? Try this new engraved-crystal series – first time available in India! We artfully engrave your loving message to share with your Dad on this Father's Day. 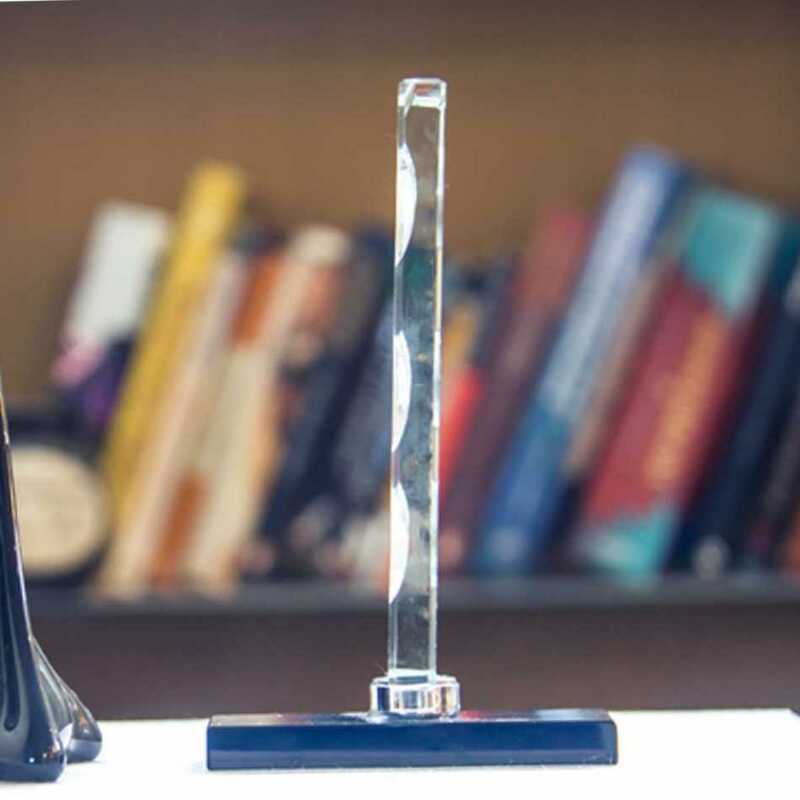 The skilful, reverse-laser engraving process provides a stunning transparent mirage, creating a magnificent loving memento for display. crystal is exquisitely crafted, featuring quality workmanship of thick, heavy-weight glass with bevelled edges on all sides. 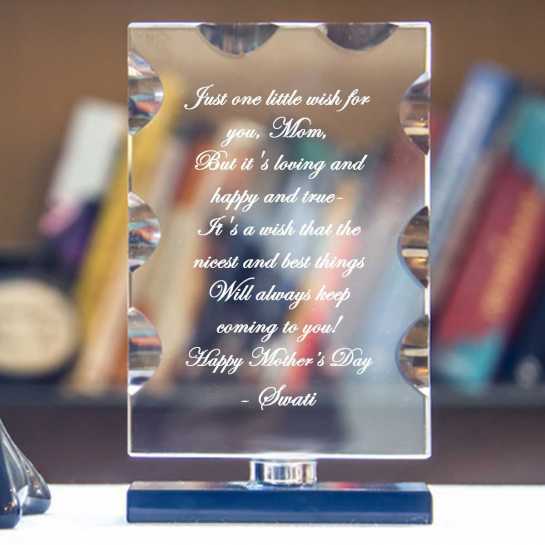 reverse-laser engraving process provides a stunning transparent mirage, creating a magnificent loving memento for display. 2. Please note that we cannot 100% guarantee about the time periods mentioned for express delivery. In case of any delay*; you will be refunded the express delivery charges OR will be given dezains coupons worth double the amount (as per your choice). *Delay in shipping (upto a maximum of 7 days) do not entitle you to cancel the order and ask for refund. However for any delay beyond that, you can cancel your order and get the full amount refunded. **Working days does not include Saturdays, Sundays and Public holidays. Also if the order is placed after 4pm, that day will be excluded in the count. e-mail once your product is shipped. You can follow up with the courier company directly regarding the exact status of your shipment. We request you to check your mail for regular update of your order. Can I see the preview of the design before it is printed on the product? The text that you will be providing with this order will be worked upon and improvised by our artists. Hence you will not be able to see the instant preview. However, you can request to have a look on the final design, and once you approve, it will be sent for production. You can send a request for a preview at contact@dezains.com after you place the order. Do not forget to mention your order number. In case the product delivered to you is damaged, we will immediately replace it with a new one. No questions asked.